I'm always on the lookout for interesting picture books to add to my classroom, to my school library, and for all the little loved ones in my life. These picture books are gems that will serve a variety of purposes, but most importantly, setting up conversations about their reading, a practice that is essential. I must admit that I watched the author's video read aloud of this book. I love the premise: a hill and a hole are friends but want to see what life is like from the other's perspective. With the help of a mole, they are able to do this, at least for a little while. 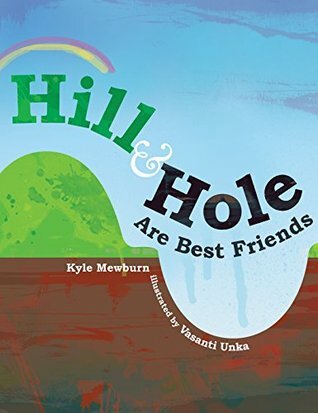 I love the messages in Hill & Hole Are Best Friends, especially, "sometimes it's easier to do things than to undo them once they're done." This lesson is something that adults struggle with, so the younger we start discussing it, the better. This book has the bonus of an awesome last line that will leave the reader wondering. Oh my heart, I loved Worm Loves Worm. Who says things need to be done the way they always have? 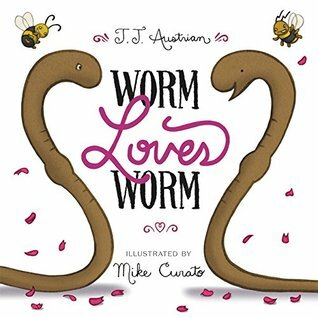 There is no better way to introduce concepts like gender, sexuality, and traditions than through worms, who are hermaphroditic and can be either the bride or the groom. The book is deceptively simple, but packs so much meaning into its few pages. The rings, the veil, the band...none of it matters to Worm and Worm, who just want to be married to each other. The emphasis here is on love, where it should be. 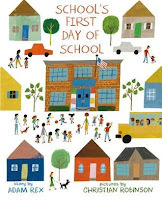 There are myriad books about the first day of school jitters that kids have. Adam Rex's School's First Day of School flips this idea and talks about the building's experiences. This book won't give young readers new fears about school, rather, it will remind them of all the things they already know and do that take place in this unfamiliar place. I love Christian Robinson's illustrations, which remind me of Ezra Jack Keats. There are so many cute details to enjoy, but the best is definitely someone laughing so hard milk comes out of his nose. This would be a great first day read, as well as worth sharing with someone who is about to start kindergarten.